Losing some hair is normal, including the 100 to 125 hairs that leave every day as part of the body’s routine shedding process. When a hair’s growth cycle ends, it falls out. About 10% of the hair is always in the “resting phase” of the cycle, which lasts for 2 to 3 months, and afterward that hair is lost and replaced by new growth. 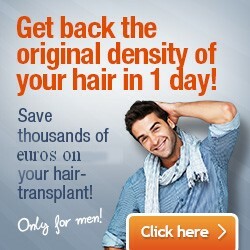 However, sometimes people have an abnormal amount of hair loss. Both women and men lose more hair as they age. That change is normal. Comprising 95% of all hair loss problems, it is known as Androgenetic Alopecia. The extent of this condition varies and it often affects more than one person in a family. It is called Male Pattern Baldness in men. Common signs include developing a bald spot on top of the head and a receding hair line. Women can lose quite a bit of hair but may not become completely bald. In such cases, the loss is distributed throughout the scalp area. Androgenetic Alopecia is dramatically affected by hormones. The production of testosterone occurs in both women and men. With the help of the 5-alpha-reductase enzyme, testosterone becomes dihydrotestosterone (DHT). When DHT shrinks the hair follicles, membranes in the scalp become thicker and less elastic, and blood flow decreases. The result is that the hair follicles degenerate. So when a hair falls out, no new growth appears. 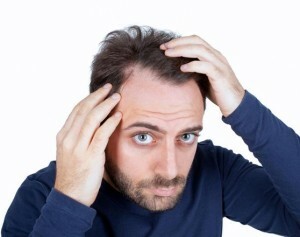 Men have a greater chance of hair loss because they produce more testosterone than women. There are other hair loss reasons, although Androgenetic Alopecia is the most prevalent. It can be caused by a medical condition such as a fungal infection, ringworm, or hypothyroidism. Other possible causes are sudden hormonal changes, use of an extreme diet, excess absorption of vitamin A, undergoing chemotherapy or radiation, and taking birth control pills, as well as side effects of some medications, including those to treat gout and thin the blood. Sometimes hair loss is delayed, occurring 3 to 4 months after a stressful event like pregnancy, surgery, or an emotional disturbance. Stress can also force a greater number of hairs into the resting phase, which slows or temporarily ceases the growth of new hair. Exterior stressors on the hair and/or scalp can also be hair loss reasons. Actions that pull on the hair can permanently damage the scalp and hair production, including using tight rollers, wearing cornrows, or putting the hair in a pony tail. Inflammation of the hair follicles, scarring, and subsequent hair loss can also be brought about by using some hair products, such as hot oil treatments and permanents.